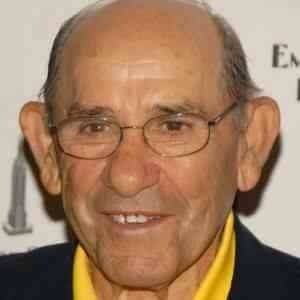 HAPPY 90TH BIRTHDAY TO YOGI BERRA! I have several favorites in the sport of baseball. Some you would automatically recognize and others you would have to be from a certain region of the country to know. Yogi Berra is one of those Hall Of Fame American icons that brought not only joy on the field, but in his famous “Yogi-isms.”I loved the interviews he gave and his bland manner. He was like a straight man in a comedy routine. He was one of those rare Americans who saw the good with ease. In 19 big-league seasons he pounded out 2,150 hits which included 358 home runs. This was good enough to bring about an induction into the baseball Hall Of Fame. I have listed those for you. I hope they bring as much laughter and joy to you as they still do to me. ‘Little League baseball is a very good thing because it keeps the parents off the streets. I never blame myself when I’m not hitting. I just blame the bat and if it keeps up, I change bats.